Countless people have reached out to us over the years to ask how they could purchase items from our monthly Room in a Box. We’re finally answering the call, but with a great twist. Introducing…Mantel in a Box! Curated by our award-winning luxury design team, Mantel in a Box is a virtual decor box that allows you to pick and choose the PERfect pieces for your style and space. With this great flexibility, you can purchase one item or order the entire set! DISCLAIMER: Items shown were available to ship when we created this list for you. We have no control over the price or stock of any item shown. Any quality or shipment issue should be addressed directly with the retailer. Please double check all dimensions before ordering. 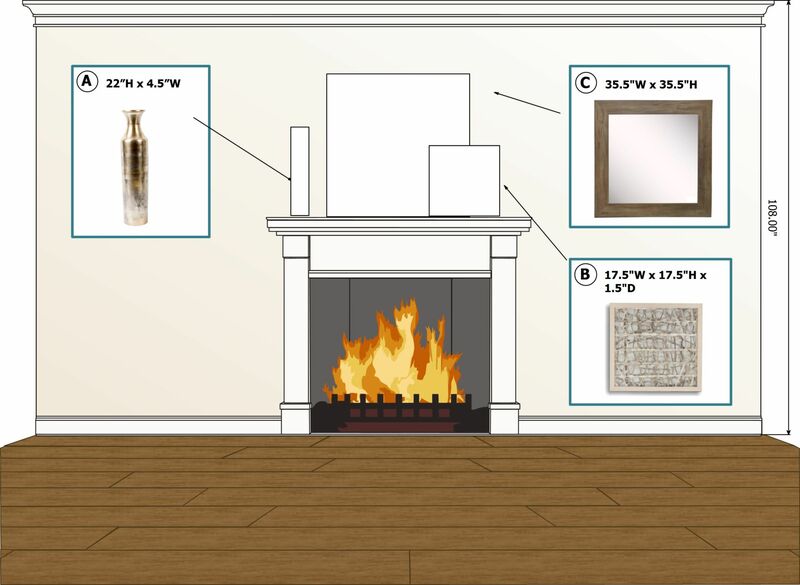 This Mantel in a Box has been curated by the professional design team at The Interior Design Advocate. The Interior Design Advocate will receive a commission from the retailer if you choose to purchase using our direct links provided below. This beautiful arrangement can be achieved with a framed piece of handmade paper layered over a rustic barnwood mirror with a mercury vase situated to one side. Please note that all items were in stock at the time this design was put together.